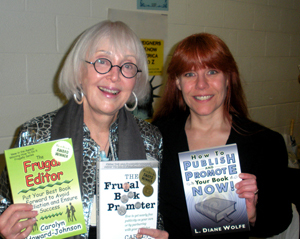 I am honored to have the master book promoter here today. (And was thrilled to meet her in person earlier this year.) Please welcome Carolyn Howard-Johnson. She says because she writes quickly that makes it difficult for her publisher to publish all of her work with an appropriate amount of time between each of them. So she writes works which are “edgier” than her romance novels under the pseudonym J. D. Robb. She says. "Putting it under a pseudonym helps brand it for the reader." 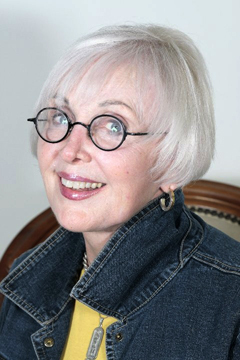 Children’s writers often separate their real names or their “other” writing names from their children’s work to keep work intended for children untainted. All these reasons are absolutely valid. And there are lots more. But I believe there are far more downsides to using a pseudonym than upsides. A lot more. Especially from marketing and organizational perspectives. 1. It is very hard to keep a pen name secret. Everyone knows who Kristie Leigh Maguire is, as an example, but most know that it is a pen name. If people didn't know that Robb was Nora Roberts' pen name, most of them will now that Time magazine let the cat out of the bag in a featured interview. The magazine also revealed (big time) that Nora Roberts is also a pen name! Suddenly I don't feel the affinity for her as a person or an author. I don't even know her name. 3. Using a pen name isn't necessarily an effective barrier against law suits. But do ask your attorney. 4. Have you ever heard people talk about how hard it is to be a good liar? One has to have an amazing memory and as well as a deceptive nature. Authors have problems enough learning to navigate the marketing, publicity, TV and radio, and speaking skills they had no idea they'd ever need when they started writing. Trying to remember all the little white lies (or big whoppers) you may find yourself telling may not be worth the effort. I mean, Nora Roberts finally gave up on the biggest fib of all—that she uses pen names. In the Time interview, she just ended up being herself. 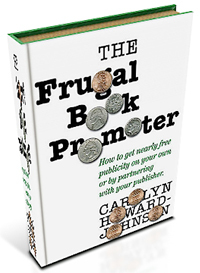 Carolyn Howard-Johnson, is a multi award-winning novelist and poet and has a hard enough time keeping the identities as a writer in these genres separate from her work as the author of the HowToDoItFrugally series of books—one for writers and one for retailers. Learn more about all of them at HowToDoItFrugally where you can also subscribe to her free SharingwithWriters newsletter that’s jam packed with writing and book marketing tips. 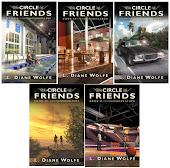 She also blogs at Sharing with Writers, The Frugal Editor, and atThe New Book Review. You'll also find how-to articles and tips on every page of the Writers' Resources pages on her Web Site. 1) I write too many genres and don't necessarily want people to be confused as to the brand. 2) The biggest reason is my name. People can't pronounce it. And they can't spell it 30 seconds after they've seen it. So how on earth would they remember it? Still, I'm making no attempt to hide my real identity. For me, the pseudonyms are only to keep things a bit simpler for my readers. Interesting thoughts. I still need a draft before I worry about my name. I know a few writers who write under their real name and pen name and it's a lot of extra work. Now they have to do twice the amount of promotion for name recognition. It's especially hard when they've established a fan base under one name, and start off at zero with the pen name. I write under the name I've used all my life. But it's not my "legal" name. Hi Diane and Carolyn - interesting points and we really need to consider before we publish .. so often that opportunity doesn't arise as we've made that choice before the pros and cons appear for us .. I use a pen name because my legal last name is too hard to spell/pronounce/remember but I'm still not comfortable introducing myself by my pen name. I always want to say, "Hi, I'm Linda Leszczuk writing as LD Masterson." I use a pen name for my romance novels because I teach high school and I wanted to put off and conflicts with the two careers. You never know how the powers that be might feel about that. I couldn't keep track of everything! I think there is a place and time for pen names. As several mentioned here, one of those places is when what you write could conflict with who you are in your career. It's not a matter of hiding who you are as much as deflecting problems. I've never seen the point of a pen name- you spend all that time building up publicity only to have to do it again under another name. I don't think generalizations on pen names are entirely accurate. Many good writers and literary writers have used them. If it suits the author, I have no problem with them. Using a pen name is a choice by the author. Why should I as a reader care? The author isn't my BFF. Of course marketing doesn't like it, marketing is black and white. Besides, though I'm a great liar (actress in school) I really value people who are real and don't pretend to be someone they're not. With me, what you see is what you get. I just find that easier. I think there are some legitimate reasons to write under a pen name. That being said, I'm happy they don't apply to me because it's a lot of extra work in today's marketplace. Misha, you have a good point about the spelling. Linda, your last name is a challenge. I can understand why you'd use something simpler. Tina, I use my real name because anyone who's ever met me will see the "L. Diane" know that's me. I only thought about using a pen name for about a hot minute, and that was because I'm a very private person. But like you said, the marketing and time consumption to use different names would be murder! I write and blog under my real name. At first I thought I would write under a pen name, but it was too big a hassle. I am who I am. Writer and person. Sorry it took so long for me to get back to you all. I've had guests from out of town--young guests who needed a bit of schlepping. (-: But at least this way I got in on the comments and thank you all for that. L. Masterson, I like that appraoch to your pen name. Just own up. I'm sure you feel more comfortable speaking or when you're being interviewed! Sending hugs to all of you. Especially those of you who don't have books yet. Great things are yet to come! I write under my maiden name, but it's still part of my full legal name. So, it's not a lie or really a pen name. It's the name I was born with. I'd rather use my real name to write under, but I'd be part of a small crowd with the same name. I don't need anonymity, but I want to stand out. What a treat to read what Nora R. has to say. I loved this. Good post. I thought I wanted a pen name and even bought a name. However, I've never used it and probably never will. All your thoughts on the extra work while branding a different name are right on. Thank you, L. Diane, for an informative guest visit! I hadn't given a pen name that much thought, so I appreciate the info. Thanks, Carolyn and Diane, for sharing this! I knew J.D. Robb was Nora Roberts, but I didn't know Nora Roberts was also a pen name. From a reader's point of view I don't think it matters, either the writer is good or not, but from a legal point of view I can see there would be problems. I prefer the J.D. Robb books by the way. Great points here. I have wondered now and then if I should have used a pen name, and this article helped put some of those thoughts to rest. Mary, it's all speculative fiction, so one name should be good. I think going under a pen name is sometimes good. Look at J.K. Rowling. Great tidbits. Glad to meet Carolyn! I use a pen name myself and these are some valid points. Great guest post, Carolyn! I went back and forth with what to do about a pen name or not. I find it easier to use my real name too. Especially at conferences. great post. I've been thinking about whether having a pen name might be good or not too. Interesting post! I think I would find it very difficult to write under a pen name. Readers do kind of lose a personal connection with the author when they don't even know the author's name! Yes, your wait is finally over. It's me, Penny the Jack Russell dog and modest internet superstar! It's no secret that's my name or Penny Pennick the Jack Russell dog and modest internet superstar, to give you my full name. Nope, don't need pseudonyms or paw names, sorry, pen names. And my human, Gary Philip Pennick, yes, the human I so kindly allow to live with me, is using his real name. His blog which I guest pawst, sorry, post on, goes by the name of "klahanie". Of course, not one to self-pawmote, um promote, I shall go now and thanks for the info. Good arguments here. Enjoyed the post. Great post! It definitely got my wheels turning. Really great post! Pseudonyms today aren't really meant to be kept secret, unlike back in the day when women authors in particular were pressured to publish under men's names. Nowadays it's more for marketing purposes, like Nora Roberts said. I like when an author uses one name for all of his or her books, no matter the genre or target audience. Judy Blume and James Patterson come to mind! 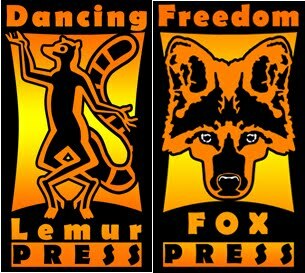 They've each published all over the genre and audience map, from picture books to adult books, all under the same name! It sounds like a lot of work having a pseudonym and promoting under that name, but I understand why some people use one. I used a pseudonym for one of my books and now I'm sorry because the book is out there like an abandoned child.